An advertisement on Craigslist in May offered a paper certificate purported to be an OCCC “scholarship” for 12 credit hours of free tuition, valued at “up to $2,300.” The seller was asking $700. The offer left some college officials scratching their heads. Some said they suspected a misrepresentation of OCCC. Others have said it’s unfortunate the item was on Craigslist but the certificate, produced off campus, may be valid. Can scholarships be bought and sold? In this case, that may have taken place. Student Scholarship Coordinator Jaquie Sherrard laughed when she saw the Craigslist ad. She said scholarships are not paper certificates and cannot be transferred between individuals. Development Director Jennifer Harrison said she’d never seen such a certificate. She was sure it had not come from the OCCC Foundation, which supports various campus programs through scholarships, she said. However, OCCC’s Marketing Director Cordell Jordan said the certificate that appeared on Craigslist, which listed Jordan as the contact for redeeming it, is valid. Jordan said OCCC donated a tuition waiver for a fundraising event in March in Piedmont for DUCK (Doing Unselfish Charity for Kids) Week. The waiver was intended for a graduating Piedmont High School senior, he said. Jordan said it’s unclear how it ended up with Steve Graham, the individual who listed the certificate on Craigslist. Jordan said the paper certificate was made outside of the college by someone unaffiliated with the college but said he authorized the use of OCCC’s logo and the certificate’s creation. Business and Finance Vice President John Boyd said the certificate on Craigslist was not a sound representation of OCCC’s brand and was unlike anything he’d seen before. “I think somebody pirated our brand,” Boyd said. “It ought to be punishable. After an open records request, Jordan provided emails pertaining to the certificate. The initial inquiry for a donation came from Teresa Coker, an account executive at News 9 television, where Jordan’ has worked in the past. “Cordell: What do you think about giving away a free class for DUCK (Doing Unselfish Charity for Kids) Week at Piedmont high school as part of a fundraiser? Is that legal?? Thoughts?” the email read. In Coker’s last email to Jordan about this specific tuition waiver, she asked who should be listed as the contact and if she should make a certificate on OCCC letterhead. “I can mock something up for that,” Coker wrote in her email. The OCCC “Now Is Power” logo was sent as an attachment in the email. Jordan said OCCC does offer some tuition waivers through Marketing and Public Relations. He said buying and selling waivers is not what they are intended for but said his department gives away a limited number of them each year. Graham, whose phone number was provided in the Craigs-list ad, declined to say how he obtained the certificate. In a text message to a Pioneer reporter, he wrote he had sold it. In a later phone interview, Graham said he gave it away. “Yeah, I got it and then I donated it to my church,” he said. 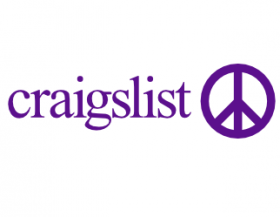 The original Craigslist posting appeared in April and was updated in May. Jordan said if someone comes to redeem the certificate and fits within the parameters of eligibility, the college will honor the waiver for 12 credit hours of tuition. Rules and conditions stating specifically that the waiver is not transferrable appear on the certificate. Bursar Cynthia Gary said a document from the college might have been more beneficial. “It’s not good if it’s not official,” she said. A full-time OCCC employee who saw the certificate and asked to remain anonymous for this article, said when she saw the ad on Craigslist she had assumed the certificate was homemade and fraudulent. She said she was disappointed to learn it had been authorized by someone in the college when it could easily be copied and used to defraud others. “If I was fraudulent in thought, I could go out and make several of these and charge $500 each,” she said. She said colleges are supposed to use raised seals, signatures, unique stamps or serial numbers to track and protect official documents. It’s irresponsible, she said, for OCCC to forego all of these measures. He said he knows the name of the waiver’s original awardee. In a later email, Jordan said it’s unclear whether Graham is its original awardee but Jordan said he was contacted by someone saying he had the certificate. Institutional Advancement’s Executive Director Lealon Taylor said OCCC should not honor the waiver for anyone it wasn’t originally intended for. OCCC President Paul Sechrist made his official statement regarding the waiver on June 18, prior to his retirement. “At a minimum, OCCC will seek to prohibit this kind of transfer and sale, and will clearly indicate on any official certificates that the scholarship or tuition fee waiver can only be used by the person to which it was given,” he said. On June 19, Jordan said tuition waivers used for recruiting or marketing had been suspended while the incident is reviewed. For current OCCC students, Jordan said, opportunities for tuition assistance may still exist on campus.